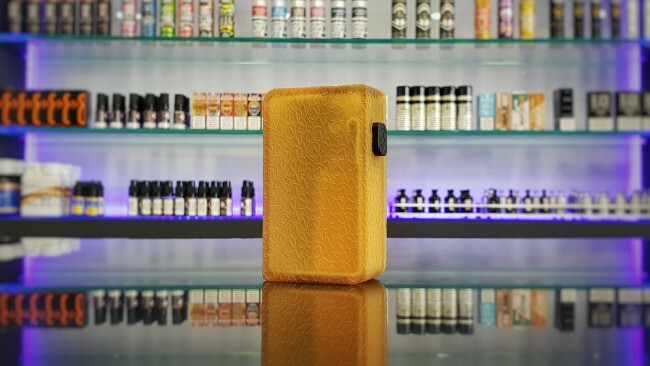 Armor Mods Collaboration by Feed3d Mods Unveiled at VapExpo Paris 2018.
with fully engraved Ultem body and black Delrin door bearing the Armor Mods logo pattern. Only 28 units of this mod exist, and is only made this one time. 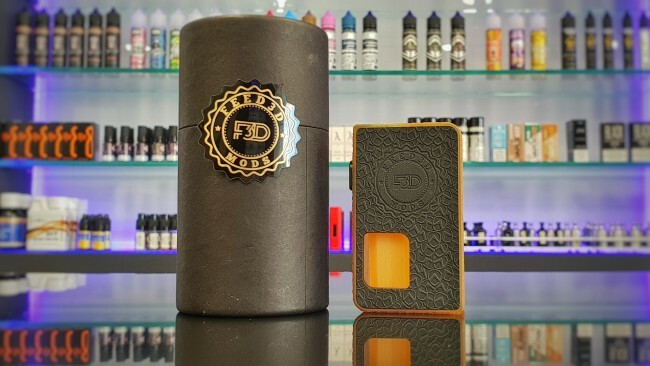 This mod by Feed3d Mods features some of the tightest tolerances and machining quality seen in a mechanical bottom feed box mod to you have seen. The door fitment to the body is so precise, the magnets are not even required to hold the door to the body! Thick silver plated copper contacts and trigger bars ensure a hard hit each and every time you fire the device. Spring loaded auto-adjusting 510 center pin height allows for hassle free atomizer swaps. Gold plated contact bridge and feeder pin ensures long-lasting, hard-hitting, hygienic, and oxide-free liquid and power delivery. An included octagonal silicone bottle ensures clean liquid delivery with long lasting bottle life, easy squonking and fast draining. A threaded Ultem cap ensures a solid seal on the silicone bottle.